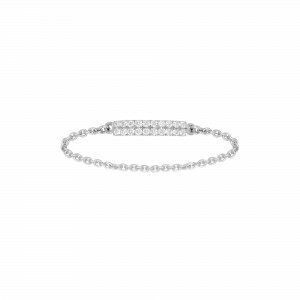 The bracelet River (Promesse collection), is full paved diamonds in 750/1000e Yellow Gold. 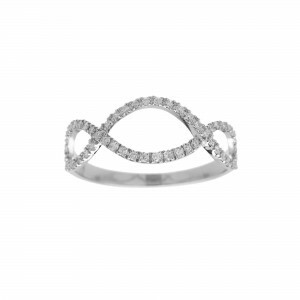 With her Promesse collection, Vanessa Tugendhaft Jewelry appears like a partner to an eternal love promise. In direct line with her desire to create light jewelry, like a real second skin, this collection offers rings, earrings and bracelets of great delicacy.